Mashery is pleased to announce the availability of a new feature that enables customers to add more security around the content that is published through the Mashery Portal. 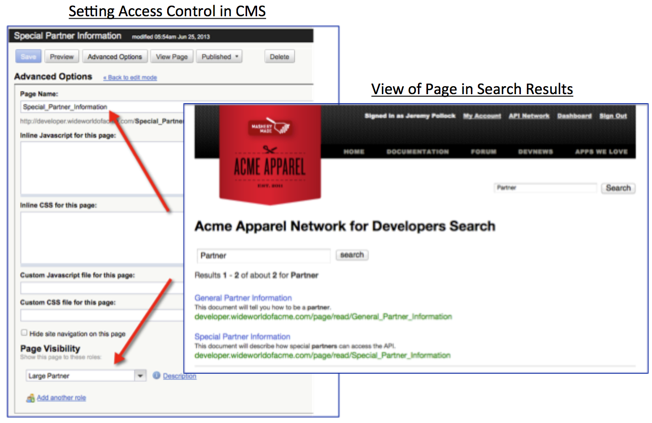 The new Secure Search Results feature, automatically turned on for all customers, takes advantage of the role permissions already setup in a customer's portal and uses those permissions to determine if a portal end-user will actually see that item when they are searching for content. 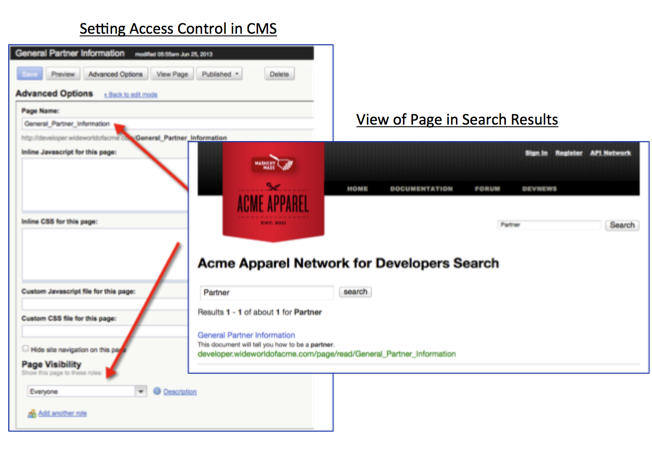 The ability to secure search results, i.e. hiding items completely from view even if those items contain words or phrases matched by the search engine, makes it easier to publish sensitive information that is critical for only select audiences. For example, you might be creating a new API and want specific developer partners to engage in the documentation review process for this API but you do not want anyone else to catch wind of this. By setting role permissions on this set of documentation, you can be assured of the fact that no one else, other than those roles that you want to see this content, will be able to get to this information, whether by browsing or searching. Below is an example of this in action. The first picture shows a piece of content that is appropriate for all types of people coming to my portal. As such, when they search for something, that content item can in fact be displayed in the search results. The below picture shows a piece of content that is appropriate only for a specific audience: people who belong to my Large Partners, e.g. maybe those that are paying me a bunch of money to be in my partner program. As such, when they search for something, that content item can in fact be displayed in the search results, but only when the end-user searching for that content has the right role, i.e. Large Partners.